Across vast geographies and with the scope of millions of people, the Defense Department (DoD) needs to individually serve each warfighter. That’s difficult to manage, but across the organization, there are some similarities that allow for consistent engagement and personalization. DoD must look for ways to consolidate IT across the four commonalities of every warfighter’s lifecycle: reach, onboarding, enrollment and information. As it stands, DoD branches are stuck with a hodgepodge of technologies that serve limited purposes. That leads to complications, as what works for the Air Force might not work for the Navy, and what works for one Navy recruit might not apply to another. These scattered systems aren’t a surprise. To manage all of the people involved, DoD has tens of thousands of operational systems and servers, which can make for a siloed workforce. Time-consuming and disparate systems are a strain on the community and detract from larger, critical mission goals. DoD, being the nation’s largest employer, has backlogs of forms and paperwork behind every decision. DoD is a massive organization with plenty of moving parts. In fact, DoD’s IT budget makes up 44.4 percent of the federal IT budget, almost triple that of the next closest federal agency. It is also the largest employer in America, with 2.87 million civilian and service employees. There are more than 2 million active, guard and reserve service members, and DoD has at least 4,000 personnel in every U.S. state and many more abroad. Managing the digital experience of each member is paramount for success, but difficult. To operate efficiently across the enterprise, DoD needs integrated and comprehensive communications and content solutions. By managing messaging and delivery, DoD can optimize its reach, enrollment, onboarding and information to attract new recruits, train employees and promote long, successful careers. Mission outcomes are also dependent on collaboration among prominent lawmakers, bureaucrats, military leaders and those on the ground. Understandably, questions arise about everything from benefits to direct orders. Where can warfighters and civilian personnel find answers? Answers need to come from the right source bearing the right information at the right time, which can be a tricky balance. Without improving the people side of military operations, DoD will struggle with recruiting, retention and training. The Defense Department has embraced new technological capabilities to keep up with the advancement of other militaries around the world but, like other federal agencies, has struggled with reach, tangled legacy IT systems and personnel management. Many legacy systems revolve around paper, an outdated medium that creates obsolete workflows. Paper slows down governments nationwide, and manual labor begets human error. Processes involving paper routinely cost more and take more time than the digital alternative. DoD needs 21st century technology solutions that can integrate with one another throughout the lifecycle of military personnel. 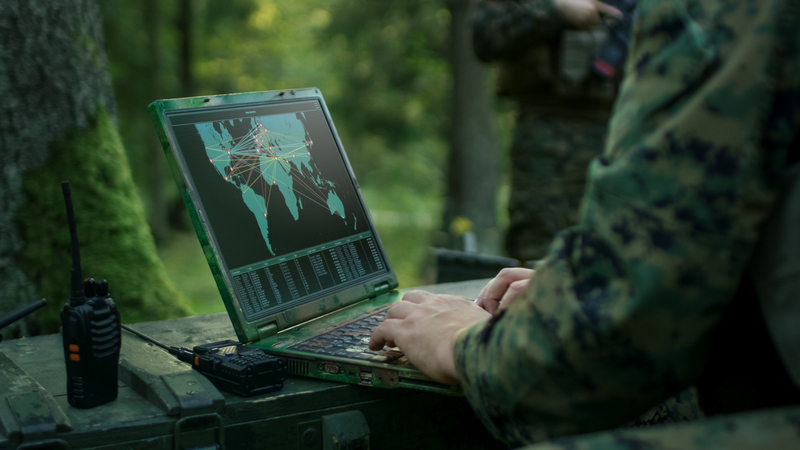 Modern digital capabilities can allow warfighters to pass through their military lifecycle in a connected, streamlined digital environment – one that equips them to excel in a life of service. Becoming a people-centric DoD requires an end-to-end digital experience that carries warfighters from recruitment to retirement.